The 2018 England Vapor Match Home Men's Football Shirt is the same as the one worn by the pros on the pitch, featuring Nike VaporKnit technology for exceptional breathability and lightweight mobility. 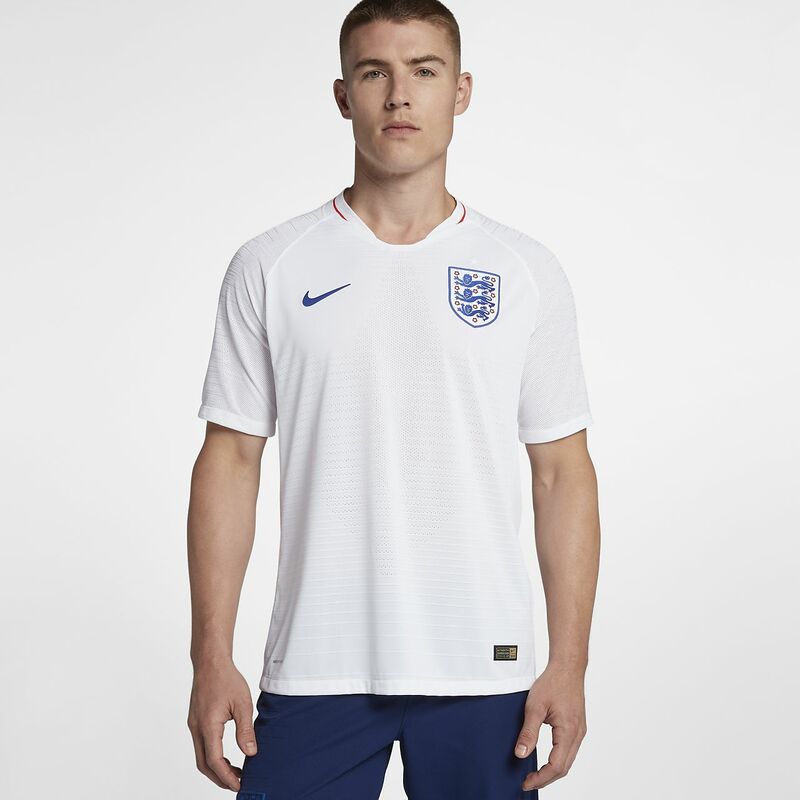 The 2018 England Vapor Match Home Men&apos;s Football Shirt is the same as the one worn by the pros on the pitch, featuring Nike VaporKnit technology for exceptional breathability and lightweight mobility. be aware that this is slim fit, and will run low on the arms. size up, I am a MD, had to return and get a large. quality is really good.